Sandbox is a story of personal memory. 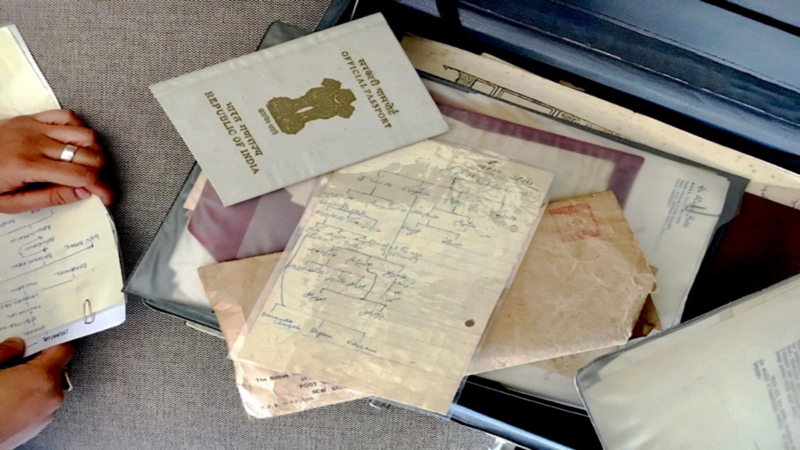 The accidental discovery of a forgotten briefcase leads Navdha Malhotra to discover the lost identity of her grandfather, a refugee from the partition of India. What she unravels is a treasure trove of identity. His refugee documents, degree certificates, and personal journal entries reveal to her the man he was during India under British colonial rule, and his eventual status as a “political sufferer” from partition. This virtual reality piece offers viewers an immersive experience of the life of Malhotra’s grandfather, as reflected in the refugee documents he left behind. The viewers interact and play in the environment, embarking on an experiential journey that leads them to audio narratives from the granddaughter, recounting her thoughts as she discovered her grandfather’s history for the first time. Parul Wadhwa is a new media artist and documentarian. Her work blurs the boundaries between film and digital technology to create immersive environments. Her research interests include interactive digital storytelling, virtual reality, and she is committed to the use of new technologies for social impact.